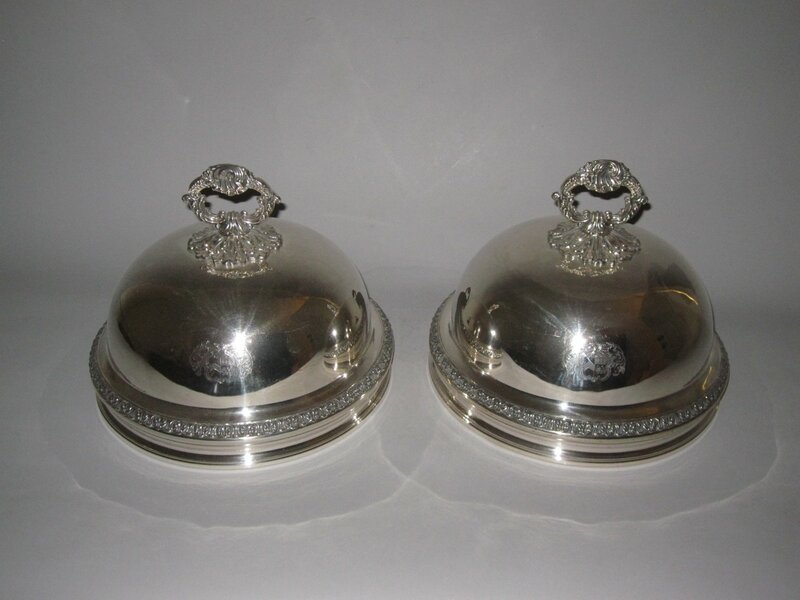 AN UNUSUAL PAIR OF CIRCULAR SHAPED DOMED REGENCY PERIOD OLD SHEFFIELD PLATE SILVER DISH COVERS. GEORGE IV, CIRCA 1820. Each having cast borders and a scrolled loop cast handle, and engraved with the same armorial to both sides.